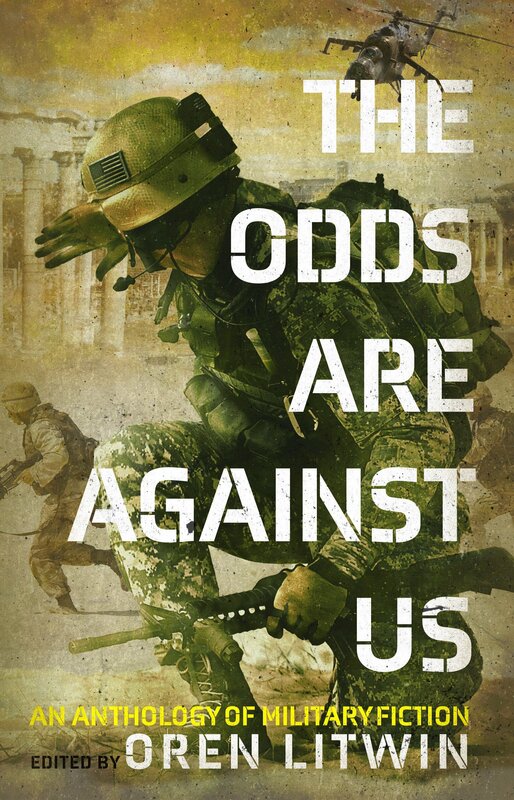 I’m pleased to say that Liberty Island Media, our publisher, has just released The Odds Are Against Us for Kindle! Check it out! Plus, if you subscribe to Kindle Unlimited, you can read the book for free! The paperback edition will be coming soon, and I’ll let you know when it does. We’re very excited to finally get this fantastic book in people’s hands. Enjoy! If you like the book, please help us out by leaving a reader review on Amazon. It only takes a few sentences to tell people what you liked about the book, and it makes a big difference. Thanks! What is politics? And why does it matter for fiction? If you were to google “politics definition,” many of the dictionary entries focus on the mechanics of running a government or a society; these are not wrong exactly, but are not terribly useful. When we say “office politics,” for example, what we mean is often the exact opposite of a smooth-running office! “Scarce goods” implies that some people will get less than they want, or do without entirely. By definition, some people will be unhappy with the “authoritative allocation,” and want it to change. “Authoritative” highlights the importance of authority, the sense that some people or some commands ought to be followed. In other words, a key part of politics is about leadership and obedience, and how that comes about. Rather than focusing on what we want, “values” instruct us in what we should want. Often, this gets to the core of our identities as people. The stakes are thus very high. When two different people disagree on values—say, whether cocaine use is a personal matter or a harmful vice—often they are proceeding from very different principles, which prevent agreement altogether. Without a way to authoritatively settle the question, such disagreements are thus likely to persist for a long time. Still, this definition assumes that there is a way to authoritatively determine values, and have them stick. Sometimes it can happen, for example in a unified theocracy; but very often, people who disagree with the authority’s values will deny that the authority even has the right to impose them. Religious wars are but a single example; the conflict between Capitalism and Communism would be another. Notice that both examples also involve “the allocation of scarce goods”; and in many cases, one’s choice of values is heavily influenced by whether you will benefit from them. Of course peasants will want redistribution of capital, and of course industrialists will want state protection of property—whether or not either side could defend its position on moral grounds (and perhaps they can). As they say, “Where you stand depends on where you sit.” Values direct behavior, but they also justify behavior. In other words, politics is about which actor or group of actors can enforce its will on another group. This needn’t even be about who gets more “scarce goods,” though that often plays a role. Rather, it’s about power—in the worst case (as Orwell so bleakly depicted in 1984), power for its own sake. Policy analysis, discussion of values, appeals to shared humanity or morality or whatever, all of these things are mere rationalizations for the will to power. This also brings the role of conflict to the fore. Conflict was implied in the other two definitions, as we saw; but Lenin gives it center stage. Politics, for Lenin, is unending conflict. A full definition of “politics” involves aspects of all three, but conflict remains at the heart. And that is why stories involving politics can be so powerful in fiction. Authors are constantly admonished that stories must be about a conflict; the protagonist wants or needs something, and must struggle to get it. Political conflicts thus make for a compelling setting for stories, by definition. And each dimension of politics can add another delicious layer to the story. Conflict over possessions, or conflict over status, or right and wrong, or personal beliefs, or even about sheer will to power—as Milton’s rendition of Satan put it, it’s better to reign in Hell than serve in Heaven—all of these things can interact and build off each other. A clear understanding of politics can provide another tool to creating strong stories. And perhaps, with luck, truly insightful stories can improve our politics in real life as well. We’ve previously discussed how a government’s control over territory is not a given; states have to spend great effort to project power and build institutions of rule. Frequently, a state’s rule is not absolute; far from the core of its power, state control diminishes even in areas that are nominally under its rule. In border areas, the reality of daily life might involve balancing off the claims of two states, neither of which can fully enforce its authority. That does not necessarily mean that no one rules. Politics abhors a vacuum. Often, the true authority in a contested or peripheral area might be a criminal boss, or a local bandit, or warlord. Crime bosses and bandits are common fare in fiction, of course. Less frequently discussed, but potentially more interesting, is the warlord. During the continuing civil wars in the Congo, the Kivu region of the country was wracked by violence and a severe breakdown in civil control. Instead, political power often devolved to the closest military force, whether government, rebel, or local militia. A typical brigade commander in FARDC, the Congolese military, had the benefit of military rank, which entitled him to a salary, logistical support from the capital Kinshasa, and formal legitimacy; but he would also have informal status in the local power relationships of his area, having de facto control over the local bureaucracy, extracting extra taxes from the hapless civilians, and using military force to control rich resources like bauxite mines or logging operations. His loyalty would be very much for sale, notwithstanding being an officer for the government; he often collaborates with local criminal networks or directs them himself, using his troops and their logistical abilities to solve problems for the criminals. He will often play both sides in the civil wars, throwing in with one or another of the feuding insurgent groups, often with the full knowledge of Kinshasa. However, the central government puts up with the commander’s unreliability, because even when he is enriching himself and building his own independent power base, his troops still keep the local violence tamped down—and the government lacks the power to replace him or his men with someone more loyal. The status quo is bad, but it would be far worse if the commander were to openly break with Kinshasa and become a direct threat. What distinguishes the warlord is a combination of three things. The first two are capacity for violence, and the claim to politically represent some constituency. A mafia boss uses coercion, but generally for economic goals; corrupt politicians may seek power and status, but generally within the existing formal framework of their state. But if we look at our Congolese example, we see a third element as well: nominal submission to a distant authority along with practical local autonomy. Warlords exploit gaps in official control to gain power and status, and then use that status strategically to cement their power. I’m using the term “warlord” in a particular way here, following after Ahram/King 2012. They define a warlord as someone who stands at the intersection of legal and illegal, or of two state or cultural regimes. From this position, they can arbitrage between the advantages of each side, in a way that someone fully committed to one side cannot. They cite as an example the Shan warlord Khun Sa, who began as a militia leader for the Kuomintang on the border between Burma and Thailand in the 1950s, but later broke free from them as his forces grew in power. He branched out into opium production, and secured semi-official status from the local government by fighting his fellow Shan rebels. Khun Sa repeatedly switched sides over the next decades, sometimes calling himself a Shan nationalist, sometimes working with the Burmese government against local competitors; and he often sought Thai patronage as well (and gave hefty bribes to Thai politicians), as the political winds shifted and his opium operation grew. (At his height, Khun Sa controlled some 70% of the heroin production in Burma, with an army of over 20,000 armed men.) In addition, the Thai government tolerated Khun Sa because his forces controlled over a hundred miles of the volatile border region, and served as a buffer against revolutionary forces operating from Laos and Burma. In 1987, when the Burmese were taking American money for “anti-drug” efforts against Khun Sa, the warlord was actually cooperating with both Burma and Thailand to build a major highway through his territory. Later in life, he “surrendered” to the Burmese and disbanded his army, and in exchange was allowed to transform his wealth into legitimate businesses such as real estate and ruby mining. The concept of a warlord can be incredibly fruitful in fiction. A warlord character can play the role of ambiguous obstacle and sometime ally of your heroes; often such characters become fan favorites. More generally, the warlord is the natural consequence of settings where government control is tenuous; the presence of a warlord highlights the limits of official control. Questions to ask: What specific, local advantage does the warlord have over the government, and over rival warlords? What resources does the warlord control, and what relationships protect those resources? What would induce the warlord to change sides? “The Odds Are Against Us,” coming soon! More details forthcoming as they get nailed down. After we launch, I also plan to do a post comparing the experience of working with a small press versus self-publishing my other anthology, and the pros and cons of each. So stay tuned!